Launched in 1990, An ISO 9001:2008 certified company, Abhishek Impex is the India's leading and widely renowned manufacturer and supplier of a large number of industrial chemicals and industrial organic chemicals like sodium monochloroacetate (s.m.c.a), monochloroacetic acid (m.c.a), pigment beta blue 15:3, e.d.t.a etc. we are among the pacesetters in the rapidly developing chemical industry and play a pivotal role in this sphere. The companys success can be attributed to the strong relationships that have been formed with leading international companies and customers. We cater to clients who demand quality products like industrial chemicals and industrial organic chemicals at economical rates and scheduled deliveries. Formulated by experts Sodium Monochloro Acetate can be manufactured in bulk for our clients. High quality Monochloroacetic Acid, manufactured using high quality raw material. We also offer high quality of Bactericides to control the bacterial corrosion oilfield applications. 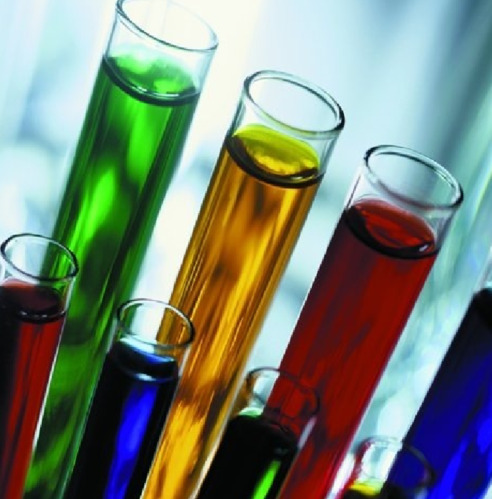 We offer complete & full range of organic chemicals for polyester & nylon yarns. We offer quality turkey red oil that is used in textile industry, leather industry, soaps industry, paper coating industry etc. Abhishek Impex is a trusted and respected name in the field of manufacturing and exporting a diverse range of organic chemicals and specialty chemicals to a wide spectrum of industries.